As you may know I create fun crafts for MyPrintly.com. 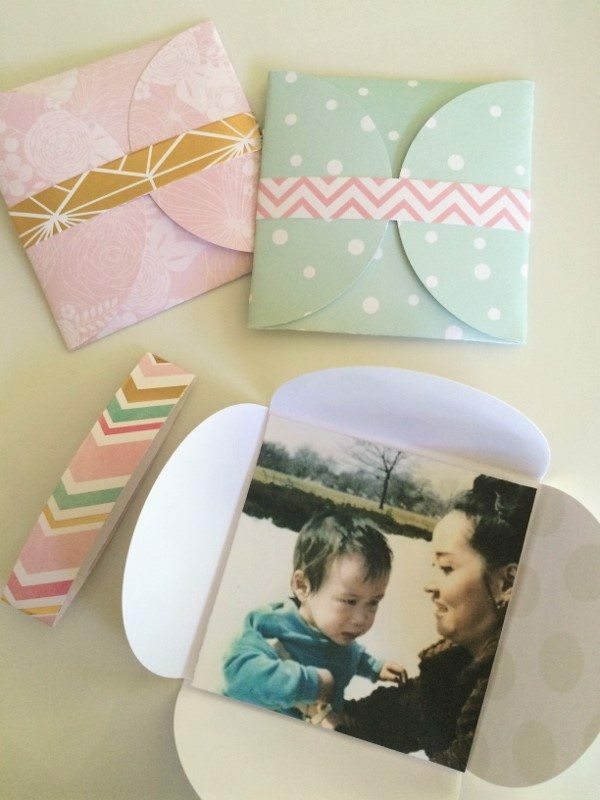 This month, I created a simple DIY envelope photo card. I love these cards because these are not only fun to make, but are inexpensive and unlike a greeting card you can buy at the store. In just a few easy steps you can make this card in any pattern or color to go with the appropriate holiday or celebration. For example, make them in pastels like these for Mother’s Day or bridal shower, or use red and green for personalized Christmas cards. These envelopes would also make great money envelopes or gift card holders for a wedding or graduation. What a cute idea! Thanks for sharing at Welcome Home Wednesdays! Thank you for having me, Crystal!